Students are encouraged to read this policy carefully and contact the Financial Aid Office with any questions or concerns. Students who are considering withdrawing from classes should contact the Financial Aid Office to see how withdrawal will affect their current award and future financial aid eligibility. Students who withdraw from and/or do not successfully complete all Pell Grant eligible classes prior to the 60% of an enrollment term, i.e Fall 2014, will have their semester award recalculated based on the percent of the term completed. The Department of Education provides the formula for calculating the amount of aid a student can retain. 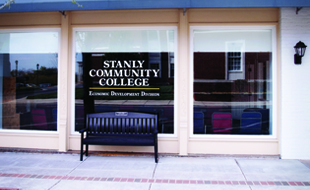 This policy applies to all students who withdraw from all Pell Grant eligible classes, fail all Pell Grant eligible classes in an enrollment term or are expelled from Stanly Community College. Title IV aid is earned on a daily basis up to and including the 60% point in the enrollment term. Title IV aid is viewed as 100% earned after the 60% point. For example, a student who withdraws completing only 30% of the term will have “earned” only 30% of Title IV aid received and the remaining 70% must be returned by the student. The percent of term completed shall be the percentage of Title IV aid earned by the student. Note: The total number of calendar days in a term of enrollment excludes any scheduled breaks of more than five days. b) The percentage of Title IV aid Unearned (to be returned) shall be 100% minus the percent of term completed. 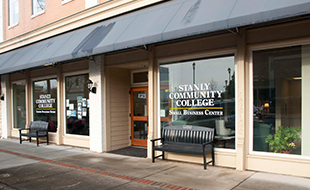 When the total amount of unearned aid produces a balance due, the student is responsible for the amount due and if not paid will be subject to the Business Office collection policy. Letters will be sent to the student’s home address on file in the Office of Records and Registration following withdrawal. Institutional and student responsibility in regard to the return of title IV funds. returning Title IV funds to the Department of Education. 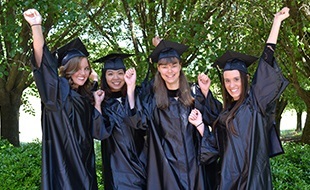 returning Title IV funds that were disbursed directly to the student as a result of the return of Title IV funds calculation.